Kick off your visit on the 28th (Thu): explore the striking landscape at Cathedral Rock. 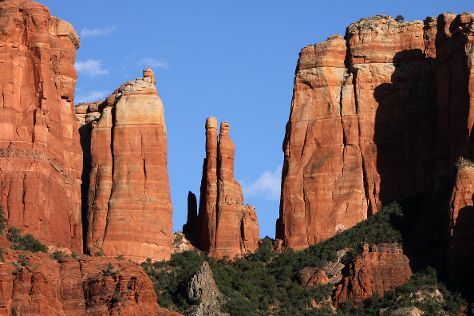 Get ready for a full day of sightseeing on the 29th (Fri): soothe aching muscles at some of the top local wellness centers, admire all the interesting features of Red Rock Scenic Byway (SR 179), and then take in the dramatic natural features at Bell Rock. To find reviews, other places to visit, maps, and tourist information, read Sedona trip maker website . Livermore to Sedona is an approximately 8-hour flight. You can also drive. Due to the time zone difference, you'll lose 1 hour traveling from Livermore to Sedona. Expect a daytime high around 67°F in March, and nighttime lows around 45°F. 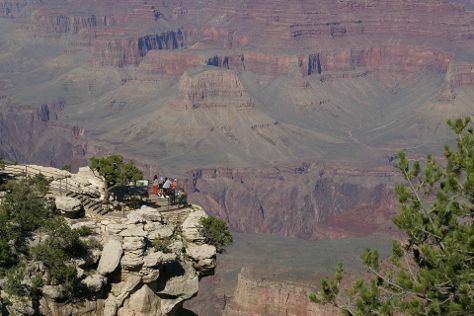 Wrap up your sightseeing on the 29th (Fri) to allow time to drive to Grand Canyon National Park. Start off your visit on the 30th (Sat): hike along Rim Trail, take in breathtaking views at Yavapai Point, and then get curious at Yavapai Geology Museum. To find reviews, traveler tips, where to stay, and other tourist information, refer to the Grand Canyon National Park trip itinerary maker app . Getting from Sedona to Grand Canyon National Park by car takes about 2.5 hours. When traveling from Sedona in March, plan for a bit cooler days and much colder nights in Grand Canyon National Park: temperatures range from 57°F by day to 23°F at night. Cap off your sightseeing on the 30th (Sat) early enough to travel to Grand Canyon National Park. On the 31st (Sun), trek along Bright Angel Trail. On the 1st (Mon), you'll have a packed day of sightseeing: trek along South Kaibab Trail, take some stellar pictures from Mather Point, then get great views at Powell Point, and finally take some stellar pictures from Hopi Point. For ratings, maps, where to stay, and tourist information, read our Grand Canyon National Park day trip planner. Wrap up your sightseeing by early afternoon on the 2nd (Tue) to allow enough time to travel back home.